What is the Safest Space Heater? 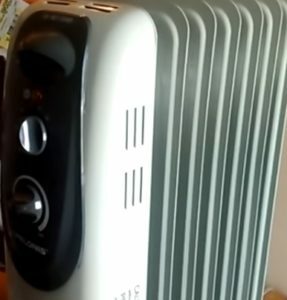 Space heaters have come a long way since the early units were first introduced with built-in safety features almost standard. Some units are built with more safety features than others making them better to use in many scenarios. Often the less heat output needed the safer the unit but there are many units that when used right can give out large amounts of heat safely. 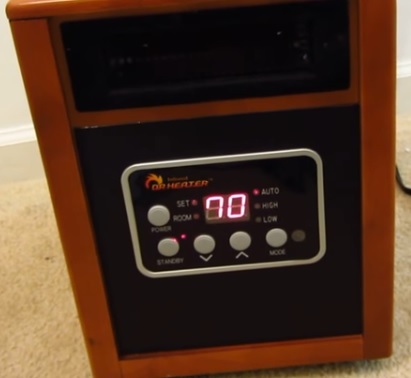 So What is The Safest Space Heater? Since every scenario is different there is no one unit that is best, a unit should fit the situation it is in. There are many types of space heating units with some better in some situations than others. Here is a break down of some common units and the environment they are best suited for. Flat panel heaters are very safe units with the ability to be mounted on walls which also makes them good space savers. The do not put out large amount of heat but a steady heat that helps maintain warmth in a room. . While they do not have a large output of heat, they can be used in packs which can give out more if needed. 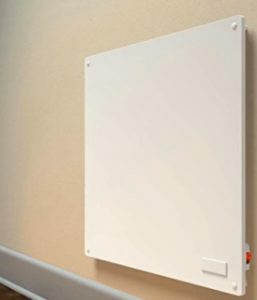 The Econo-Heat 0603 E-Heater can also come in 4 packs which are mounted on walls warming a room. Units such as the Econo-Heat 0603 don’t get hot enough to burn someone who touches it. If you hold your hand on the unit for 3-5 seconds is will get hot but wont leave a burn. Longer than 3-5 seconds may start to cause a effect depending on the person. Flat panel units are often used when children and pets are in a home and can be mounted higher up off the floor out of reach. Also they will not burn anyone who touches one for a short period. Infrared units use wavelengths to heat up objects which many consider one of the safest forms of heating. The Dr Infrared Heater is one such very popular unit. It heats using infrared and has many built-in safety features such as tip-over protection and overheat protection. While Infrared units are safe, any heater will put out heat which if not used right can cause harm, be sure to follow the instructions that come with a unit. Oil filled heaters are enclosed units filed with oil that radiate out heat through fins. They take longer to heat up a space but are efficient to run and radiate a slow steady heat which is quite safe. DeLonghi makes the popular EW7707CM Safe Heat 1500W ComforTemp Portable Oil-Filled Radiator with many built-in safety features. It is built with a rounded design to keep the surface temperature down and still radiate heat well. This is very useful in-case any one accidentally bumps into the unit. While it will get very warm, it will not burn anyone who accidentally touches it for a short period, which is a good feature around pets or children. Electric units are notoriously the least safest space heaters but modern units have many safety features that make them a good option. Units such as the Lasko 754200 Ceramic Heater have overheat protection, adjustable thermostat, and high and low settings. The ceramic heating element sits well behind a mesh screen so it will not burn anyone who touches it. No matter how safe a heater a homes wiring must be built to withstand the amps being pulled through it. Most home wiring and breakers in the United states are built for 10-15 amps before the breaker shuts off. Look at your circuit breaker panel to know for sure what your home has. A mistake many make when it comes to wiring and breakers is not knowing what other electronics are on the same circuit. For example if a space heater is using 12 amps on a 15 amp circuit it is well within the safety margins. But a problem can happen when another device is used on the same circuit taking it above the 15 amp rating. One circuit breaker can often manage 2-3 outlets and possibly a light. One way to quickly tell is to turn of the breaker to the outlet that is to be used, and test the surrounding outlets and light to see if they are also off. Call a professional if needed. 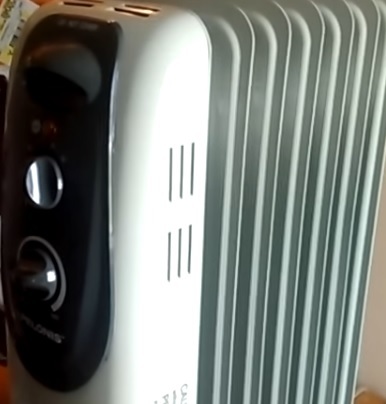 Modern space heaters have many safety features built-in that make them safe to use when operated properly. As with anything that produces heat care should always taken as harm or damage could occur. Following the units instructions should always be done to keep people and a home safe. Which ever unit is decided on be sure to read the reviews on Amazon or elsewhere to be sure it is a good pick for you.